The Parthenon Company Blog - Specialists in Wound and Ostomy Supplies: ConvaTec 401502 SUF-FIT Natura Drainable Ostomy Pouch on SALE NOW! ConvaTec 401502 SUF-FIT Natura Drainable Ostomy Pouch on SALE NOW! 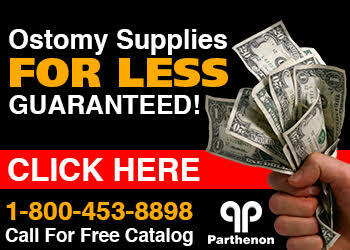 Have you ever wanted the chance to stock up on your ostomy supplies and save money doing it? Well this is your chance! For a limited time, Parthenon is having a sale on ConvaTec's 401502 SUR-FIT Natura Drainable Pouch. The price per box of 10 bags is $22.95! No minimum order! Take advantage of this one because it won't last!!!! Also, Parthenon has the skin barriers and other ostomy accessories to go along with these pouches. Things such as ParSORB absorbent sachets and crystals as well as skin adhesives, removers, m9 ostomy deodorant, Micropore tape, Eakin Cohesive Seals, Adapt Rings and more!